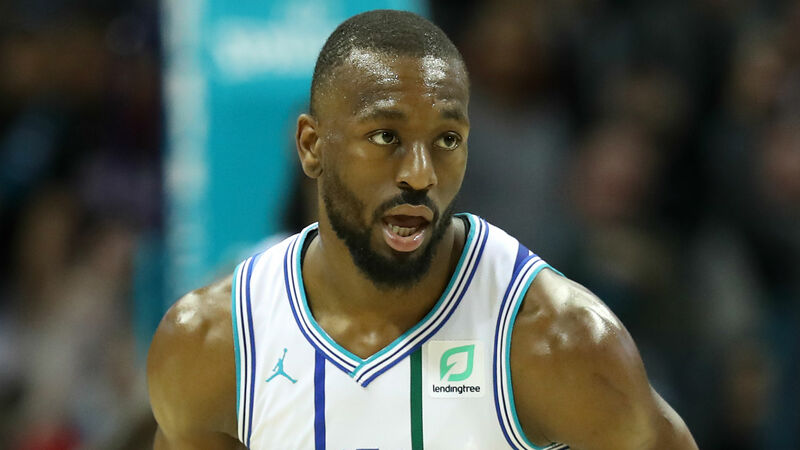 Kemba Walker dominated the contest, totaling 36 points, 11 rebounds and nine assists for Charlotte. He even shared the ball with style, rewarding Miles Bridges’ defensive efforts by throwing him a lob on the break. Karl-Anthony Towns racked up 33 points and 23 rebounds in Minnesota’s 112-99 victory over Memphis. Rudy Gobert had 21 points and 14 rebounds in Utah’s 114-83 trouncing of Chicago. Luka Doncic recorded 23 points, 11 rebounds and 10 assists is Dallas’ 126-91 win over Golden State. Kris Dunn scored four points on 1-of-8 shooting in the Bulls’ loss. Trae Young ended Philadelphia’s night with a game-winning floater in Atlanta. DeMarcus Cousins showcased his handles and blew by Dallas’ Luke Doncic for a slam. Damian Lillard knocked down his usual clutch 3-pointer in Portland’s 117-112 win over Detroit. Spurs (42-31) at Celtics (43-30) 7:30 p.m. ET — San Antonio was just one of the hottest teams in the NBA, but it has lost it’s last two games. Boston is still struggling to find consistency, as it has enters Sunday having lost three straight. Both squads have All-Star caliber talent and are looking to get back on track.